UK: The first turbines have been installed at Dong Energy/Scottish Power's 389MW West of Duddon Sands wind farm. 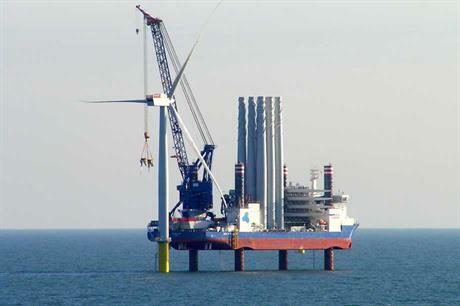 The project's Siemens 3.6MW turbines were originally scheduled for installation in the Irish Sea, off England's north-west coast, for August. This was held up by the unavailability of an installation vessel. In a statement, Dong said it expected the project would be completed in 2014. The company, which is the world's largest offshore developer, said the project would take it past a 2.4GW capacity. West of Duddon Sands was signed off in June 2011 by Dong and Iberdrola subsidiary Scottish Power.